How hot is lava? What is the difference between a cinder and a caldera? 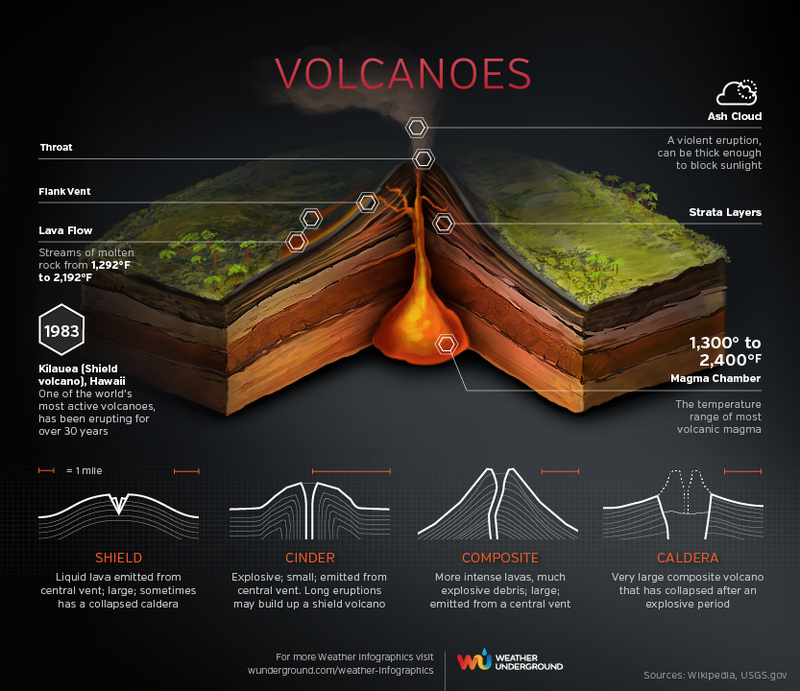 Examine the cross-section of a volcano, learn about different volcanic formations and how their eruptions differ, and compare the temperatures of lava to magma in this infographic by Weather Underground.